Do you know what caused the War of 1812? If you don’t, you’re not alone. Even historians to this day still debate over the causes of our country’s second major war. Some suspect it had to do with Britain’s impressment of American sailors, its seizure of American ships, and alleged British encouragement of Indian opposition to further American settlement on the Western frontier. 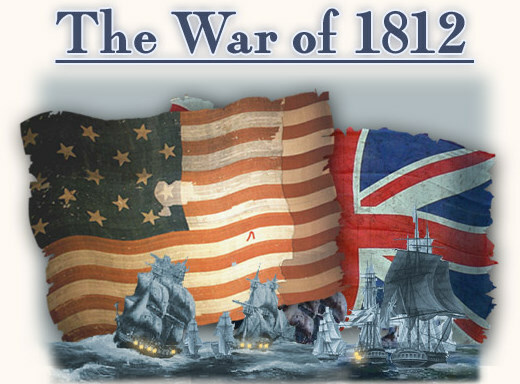 Follow along with our War of 1812 three-part blog series to learn all about this major event in our country’s history. Despite having few experienced troops or competent officers, President James Madison declared war on Great Britain in June 1812. See how the American Army gradually rose to the top in Defending a New Nation, 1783–1811, the first volume of the “U.S. Army Campaigns of the War of 1812” series published by the Department of Defense, the Department of the Army, and the Center of Military History. This booklet tells the story of several military campaigns against Indians in the Northwest Territory, the Army’s role in suppressing the Whiskey Rebellion (1794), the Quasi-War with France and confrontations with Spain, the influence of Jeffersonian politics on the Army’s structure, and the Lewis and Clark Expedition, which many people may not realize was an Army mission. After purchasing the Louisiana Territory from France in 1803, Jefferson decided the new land needed to be explored and enlisted the Army for the job. He chose Capt. Meriwether Lewis to lead the effort and Lewis selected William Clark to serve as his co-leader. The expedition lasted two years and four months. Thirty-four soldiers initially accompanied Lewis and Clark on their journey, and 26 of those soldiers traveled all the way from the East Coast to the Pacific Coast by foot, on horseback, and by boat. The Campaign of 1812, the second brochure in The U.S. Army Campaigns of the War of 1812 series, details the disappointing first campaigns of the War of 1812. Although the United States declared war on Great Britain, events soon illustrated that the nation, as well as the Army, were ill-prepared for the conflict. On the battlefield, the Army’s training, logistical, and leadership deficiencies resulted in a series of embarrassing defeats. Despite these setbacks, the Army ended the year looking hopefully toward the next campaign season to restore its confidence and reputation. From the end of the Revolutionary War in 1783 to the beginning of the War of 1812, the nascent United States Army encountered significant challenges, both within its own ranks and in the field. The Army faced hostile American Indians in the west, domestic insurrections over taxation, threats of war from European powers, organizational changes, and budgetary constraints. But it was also a time of growth and exploration, during which Army officers led expeditions to America’s west coast and founded a military academy. Stay on the lookout for more booklets in this series and more exciting info on the War of 1812 and the growth of the American military. This entry was posted on Thursday, January 10th, 2019 at 4:54 pm and is filed under Center of Military History, U.S. Army, War of 1812. You can follow any responses to this entry through the RSS 2.0 feed. You can leave a response, or trackback from your own site.